The first time I encountered the work of Children’s Laureate, Lauren Child was in 1997 (just a few years into my career) at the offices of Orchard Books. 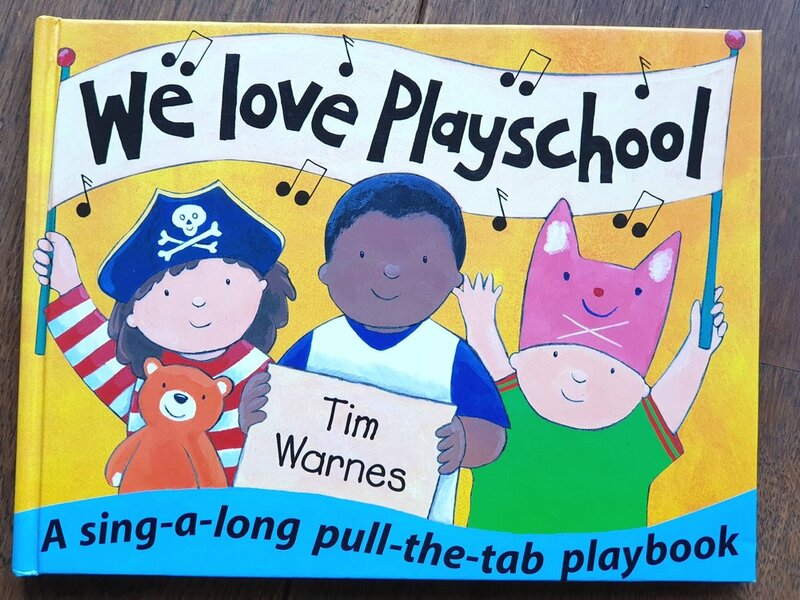 They’d already published two of my books (Counting Leopard’s Spots and Not-so-Grizzly Bear Stories) and I was there delivering the art for my third, We Love Playschool. The publisher, Francesca Dow, pulled out a package of art by a new illustrator and invited me to take a look. It was Child’s art for her first picture book, Clarice Bean That’s Me. I looked at it with a sense of disbelief. What planet are you from, Lauren Child? I wondered. Her art embodied all that mine lacked. It was wild, spontaneous and creative! Full of life and movement (interestingly, she developed Clarice Bean with animation in mind). And I'm embarrassed to admit - I didn't get it. Hand coloured, photocopied drawings of wonky people sat alongside photos of real people. Childish, painterly backgrounds contrasted with flat areas of torn, coloured paper. Backgrounds of clumsily cut out magazine pictures sat alongside photocopies of patterned fabric. What on earth was going on? This look will never catch on, I thought. I have the benefit of art education, and I don’t get it. How will Joe Public warm to it? Thankfully I was completely wrong, and Lauren Child - and the insightful Francesca Dow - were completely right. Because Joe Public did warm to both Child’s unique art style (which displays a genuine sense of family and warmth) and her writing, in which she manages to capture that random, unpredictable conversational style of children, complete with pithy one-liners. It's not that my illustrations in Playschool were terrible (they were the best I could do at the time). It's just that they were pretty bland. Compared to the art in Clarice Bean, mine looked static and self-conscious. And whereas the visually exciting, compellingly written Clarice Bean (rightfully) endured, Playschool sank into obscurity. There's been some criticism of Lauren Child’s books that does merit a mention, concerning the layout of the text. As unique and unmistakable as the art (though now much copied), the type - in a multitude of fonts - dances and twirls around her characters. Some say this element, though visually pleasing, make her books unfriendly to young readers (and inaccessible to those who struggle with reading). The argument has weight, but I believe the complaint is counter-balanced by the joy and excitement that Lauren Child brings to millions of other readers, both young and old. Her books may not make the quickest bedtime reads, but they rank up there with the most satisfying. So let's remain open-minded as to what makes a good children’s book - and appreciate that no one size fits all. Because the more choice available, the better chance everyone has of finding a story with which to connect. Which is, after all, the desire of everyone working in children’s books.